The Canadian company, En Pointe Enterprises was formed in 1998 as the parent company for a variety of business initiatives including the operation of a retail store specializing in merchandising dance and skate wear in Kelowna, BC. In that year the company also organized a very successful ballet summer school which was marketed extensively in Japan as well as Western Canada through 2002. A third venture marketed by the En Pointe Enterprises was the organization, marketing and promotion of a very successful tour of the Interior of British Columbia by “The Stars of Canadian Ballet” – professional ballet dancers from three major Canadian ballet companies. This company was also featured as entertainment in Winnipeg, Manitoba during the 1999 American Games. David Lucas and his wife, Lissette Salgado, dancers with the Royal Winnipeg Ballet Company, were part of “The Stars of Canadian Ballet” tour. While on tour David noticed that facilities for the pre-requisite dancer warm-up activities were very limited in the venues in which they performed. From this experience came from the idea for a niche market item – a strong light-weight portable ballet barre. 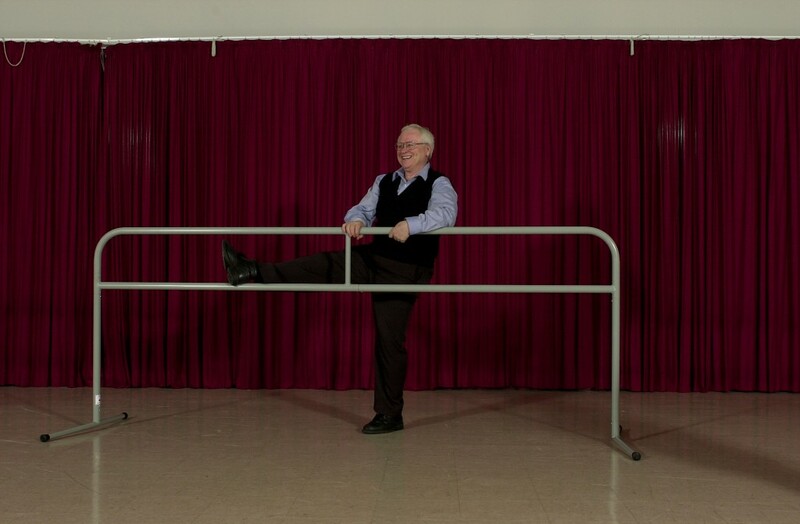 The ballet barres used by most professional companies are made of steel and have an average weight in excess of sixty pounds and are not easily transported by air without incurring excess weight and length charges. As a result, on his return to Winnipeg, David developed the PortaBarre which has since been very well received by all the professional companies and dancers worldwide that have used them. More than ten thousand PortaBarres have been sold worldwide since their introduction to the market. The unique internal double button interlocking system is very user-friendly and is designed without sharp harmful edges. The PortaBarre has been endorsed by Ballet Chicago which used five PortaBarres as part of a performance. In the years since the introduction of the PortaBarre the company has launched the PortaFloor (portable dance floor), Ballet Barres, Wall-Mounted Barres, Brackets and Dance Mirrors, Vinyl Flooring as well as Permanent or Touring sprung dance floors that can be used in homes, studios or theatres or as a touring floor for ballet companies. Our company is committed to the design, manufacture and distribution worldwide of high quality products that are designed by dancers for the use by dancers. Our products are the result of discussion and design by professionals in the field and they incorporate strength with portability and ease of transportation. We value the comments and suggestions of our clients whether they are professional or beginning dancers. Our goal is to aid dancers of all levels to develop their artistic skills through the use of our products.